Your business card is a critical part of your business stationery. Having the right business card can get you closer to closing a deal, or increase the chance of a callback. Networking is crucial in today's business environment. Having the right set of business cards with an impressive and informative business card design can prove useful. Use your business card to create opportunities for your business. Business cards can be used by anyone in any industry. They can be used to provide contact information and company information to prospective or existing clients. These are just a few of the industries that can benefit from using business card design to create an indispensable business tool. Business Cards are available in a wide variety of design templates to suit any industry or theme. This business card is no frills and straight to the punch. Often made in two tone colors such as black font on a white card. This style of business card design is effective and inexpensive. A standard business card design is usually printed on cheaper materials to reduce costs. The Classic business card design goes a little bit further than a standard business card design. This design might include your company information and a logo as well as different fonts that match your existing business or corporate identity. The classic business card design may include your title and to be printed on finer quality materials. These classic cards are usually the top choice for large corporate organizations. For the executive that needs a personalized touch, professional business cards are the top choice. Your name, title, qualifications and company details are displayed in a customized font and designed to be printed on the finest materials. Professional business cards may cost a bit more, but they are essential for anyone that values their client relations and prospecting. Legal, medical and financial professionals need a professional business card with a professional business card design. Trust your business card design to professionals with experience and talent. Business card design professionals will have thousands of templates to choose from and will offer you three or four designs to finalize on. Choose a business card design team that has a good reputation and solid client testimonials. Most business card design companies will require a deposit before they begin work on your design, with the balance due on completion. Pick the business card design proof that resonates with your brand and company values. Then note your final alterations to your business card design team. Make sure that the final design proof is exactly what you expect before signing the project off. Another added bonus to using a business card design team is leveraging their industry network. 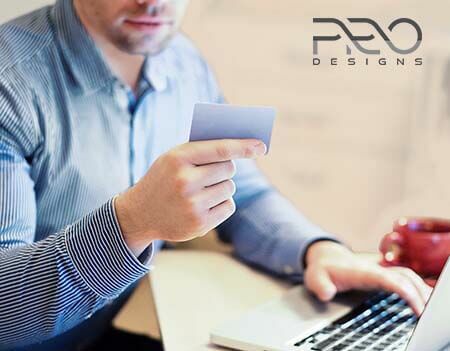 Business card design companies will often have a relationship with business card printers and can arrange deep discounts if you use their recommended printer. Using their contacts can save you on printing, reducing the cost of the total exercise. Remember that color printing will sometimes cost as much as three times more than black and white printing. Make sure you ask for a quote before you approve any printing to avoid any surprises.